For the first time in a while, we are actually home for the first day of school! My kids were excited at the idea. I was dreading dealing with the carpool headache that is inevitably associated with the first couple of weeks of school. Our charter school accepts new students every year, and every year the new parents don't know how to navigate the traffic. Even worse, the new families don't think rules apply to them and so they don't follow them, causing a greater headache for everyone else. This year carries a big milestone. All of the four kids will be in school. Emilia is in 6th grade, the last year of elementary school. She is the big girl at school and is super excited that her good friend Claire from Texas to be attending 7th grade at the same school. 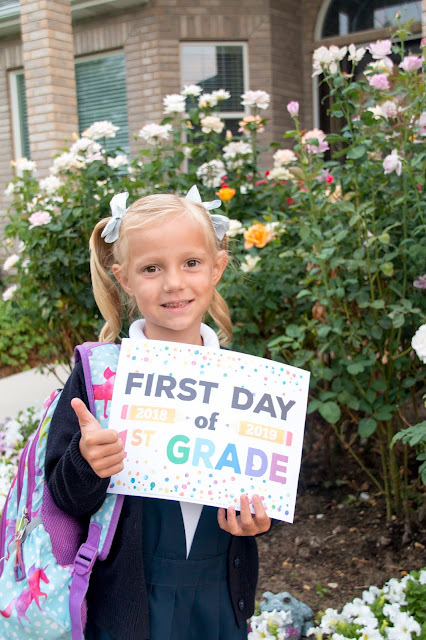 Stella will start first grade - which means all-day school for her. 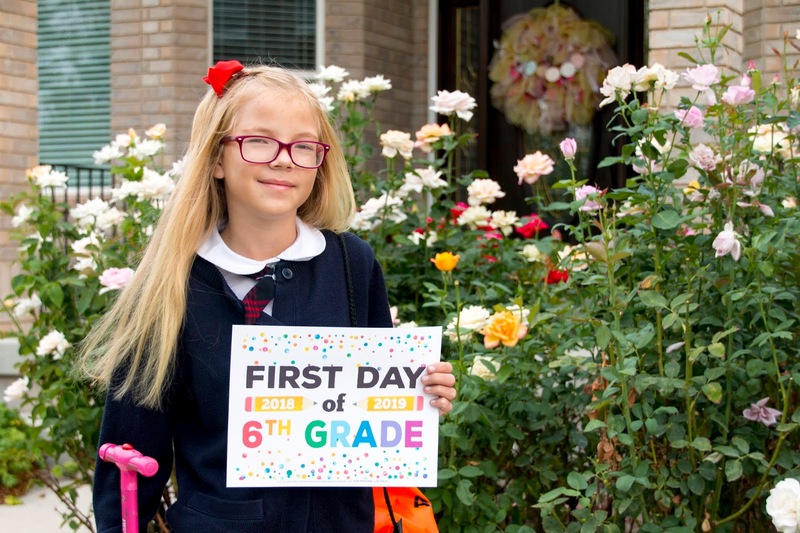 She loves school, so the extra hours should not be a great issue. 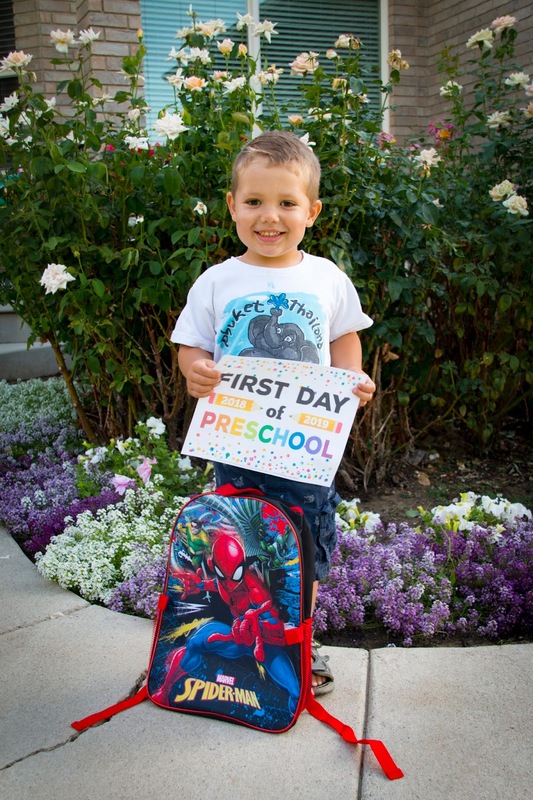 Andrew will be attending 3 year old preschool. He barely met the cut off, and is the youngest in his class. I can tell developmentally he doesn't speak as clearly as the older kids in his class, but I also know how much of a difference a year can make. At preschool orientation he would not even get our of the car to go in. I had to literally peel him off of his seat and then hold him in my lap. 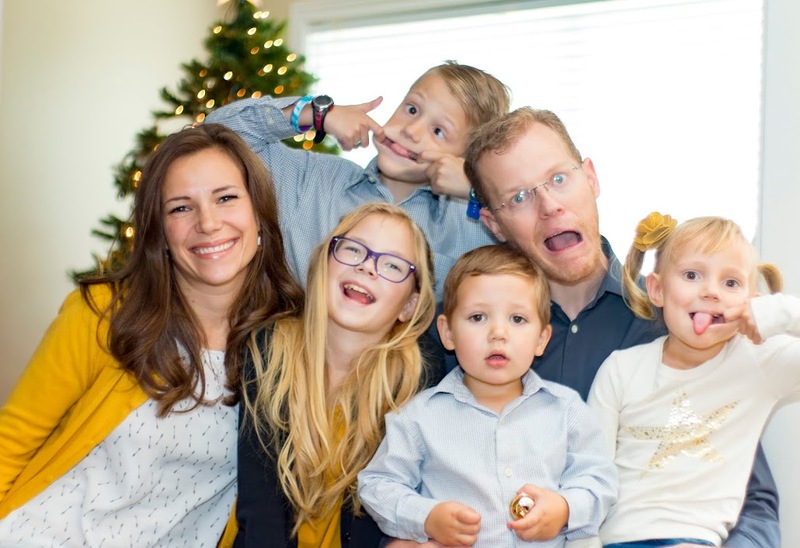 One thing I have learned about Andrew, is how much he hates change of any kind. Having him in a 3 year old preschool will get him acclimated to attending school so that the transition will be more gradual than what it would otherwise be. 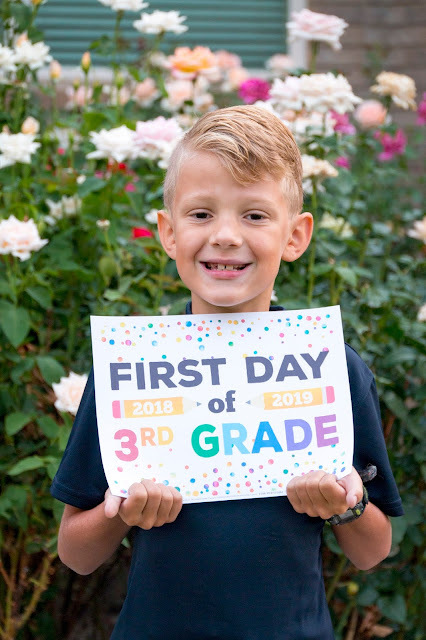 Carson is beginning third grade, so nothing out of the ordinary there. The biggest change will come next week, when he gets his glasses for the first time.